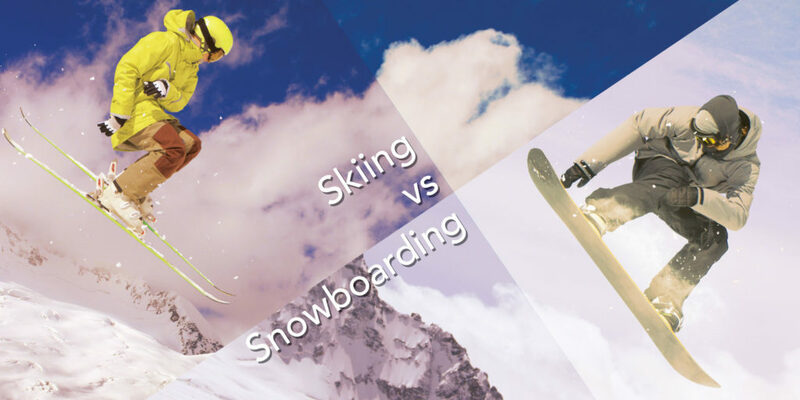 Skiing vs. Snowboarding: Which is Actually Better? One of the greatest debates of all time? Skiing vs. snowboarding: which is actually better? Whether you feel passionately about your choice of sport, or you’re wondering which team to play for, we thought we’d weigh in on the issue. It’s time to decide once and for all: skiing or snowboarding? Is skiing the best winter sport? More than half of those on the mountain believe so. Making those first tracks into fresh snow keeps skiers coming back year after year! A sport this popular hasn’t earnt its status for no reason. The list of why skiing is awesome is endless. But, we’ll give summing it up a go. It’s impossible to resist the pull of the pistes! Mastering your first slope, even if it’s a ‘baby’ slope, is an amazing feeling. One appeal of skiing is it’s easy to get started. There’s no messing around, just get gliding! If you’re feeling wobbly, or you lose your momentum, you can use your ski poles for back up. Getting on and off a ski lift can be the worst part of the day. Nobody wants to fall flat on their face. With skiing, getting off the ski lift easy! We say ‘easy’ with a little apprehension, as everyone encounters problems. But, your feet remain separate, which is useful for walking. 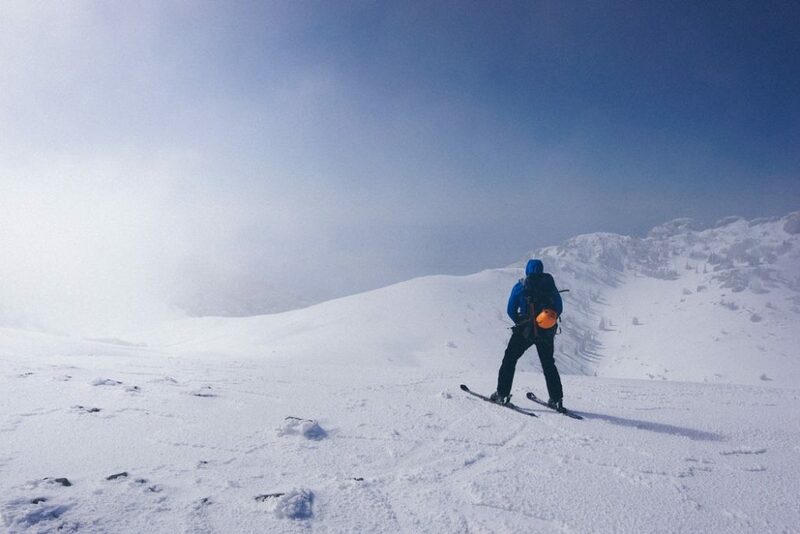 Skiing’s arch nemesis, snowboarding, is also a fantastic way to get down a mountain. It may not have been around as long as skiing, but this doesn’t make it any less brilliant. The sport has had to work hard to shake its ‘new kid on the block’ reputation. To some, snowboarding lives in the shadow of skiing. But, it’s clear why there’s so much hype. It’s easy to look like a pro while snowboarding, especially when you have amazing instructors to teach you. Who doesn’t like to look good on the slopes? With snowboarding, less is more. One undeniable perk of snowboarding is the board. Simply carry it over your shoulder and you’re good to go! This allows snowboarders to ooze cool without even meaning to. With only one piece of equipment to worry about, stunts and tricks look effortless. Why is there a Rivalry in the First Place? These two fantastic sports have an age-old rivalry. Skiing vs. snowboarding is well document by anyone who’s visited the slopes, shown by unspoken tension and cold stares. Or, in some cases, full blown fights. It’s important to note – we don’t endorse fighting. But, there are reasons behind this rivalry! What Annoys Skiers about Boarders? Boarders always seem to be in the way! Due to the board, snowboarders are often sitting down, strapping themselves in. This is frustrating for skiers, who can use both feet to walk. Also, boarders cause delays at the lift queue. Forced to unclick their bindings every time they use the lift, they hold up those who can’t wait to get there! What Annoys Boarders about Skiers? Just the sight of a skier can be annoying for a boarder. Skiers are burdened with separate skis and two poles, often unable to carry it all. Contending with these multiple appendages is a waste of time. Skis are also prone to flying off and poles often get dropped on the ski lift. Skiers also have the tendency to zig-zag, right into the path of an oncoming boarder. Awareness on the slopes is common curtesy! This may sound controversial to some, but boarders and skiers do have things in common. A love of adrenaline and mountains, for example. So, have your gripes with the ‘enemy’, but don’t go too far. Deliberately trying to annoy others on the slopes is simply stupidity. We’re not pointing any fingers! Both skiers and boarders are guilty of picking fights. Which is Easier to Learn, Skiing or Snowboarding? Let’s get down to the snowboarding vs. skiing debate properly. If you’re a first-timer wondering which winter sport to choose, we have to give this one to skiing. In answer to the question ‘how hard is it to ski?’ it’s easy – at first. With skiing, the movement is natural. You were born with two feet, so why not use them? Unless you’ve been surfing or skateboarding before, your first snowboarding experience will be a tough one. Expect many falls and a thrown-off sense of balance! For skiers, this is a clear win. Who wants to spend the day on their backside? But, we’re not suggesting skiing is the easy way out! While you might stay upright in your first skiing lessons, it’s a tough mission master the sport. Snowboarding is the opposite! Adrenaline junkies listen up! It’s time to decide which winter sport has more thrills. If you’re looking for adventure, skiing has the edge here. The reason? Skiers can go faster. Bad news for snowboarders, but the laws of aerodynamics stand against them on this one. From cross-country to Alpine skiing, the variety for skiers is enormous. We should say, though, snowboarders have an easier time on powder snow, making off-piste less of a challenge. There’s equal danger with both skiing and snowboarding. Surprisingly, there are risks involved with hurtling down a mountain. Which sport causes more injuries? This all depends on how clumsy you are. Skiers can go faster, so there’s obvious risks involved there. But, snowboarders are more likely to injure their wrists by using their hand to break their fall. Both skiers and snowboarders look equally ridiculous when falling, so there’s no winner here. It can be tough to get your kids into skiing or snowboarding. So, when bringing the kids on your holiday, which one do you choose? For the child-friendly factor, we have to give this one to skiing. Kids are more prone to falling over, so snowboarding lessons might lead to a few more tantrums. The call of the slopes is hard for anyone to ignore. But, for the addictive- factor, snowboarding takes the prize. The slow start can put some people off. But, for those with a little patience, snowboarding is a highly rewarding sport. The challenge makes it addictive! After getting over the initial struggle, perfecting the board comes quickly. Looking like a professional soon becomes second nature! Skiing or snowboarding, which winter sport is more sociable? Without a doubt, this one goes to snowboarding. Skiers are often seen on their own, whereas snowboarders stick together (often to pull each other along the flat areas). Who wants to be a solo-skier? Half of the fun is being around others, right? Snowboarding is often overshadowed by the other member of this rivalry. Ski resorts are often more tailored to skiing! 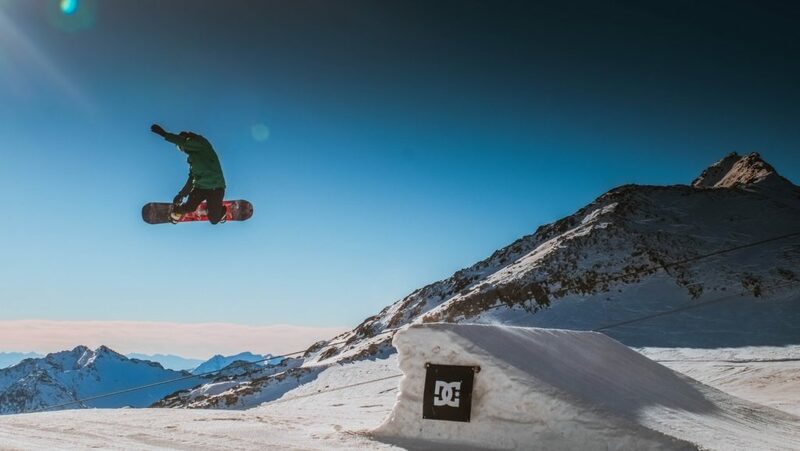 There simply aren’t enough places for snowboarders to sit down, and there’s more adventurous options available to skiers. Also, why are they called ‘ski’ resorts? Boarders use them too! Snowboarders are often looked upon as taking up space created for skiers. While this may seem like a clear win for skiers, everyone loves an underdog. Skiing does have the edge on a few more points. We love a bit of healthy competition on the slopes! Poles or no poles, the two teams are clear. Our final thoughts: we like the versatility of skiing. But, we think snowboarders are cooler. So, we have no definite answer either. Skiing or snowboarding – pick your side! Think we’re talking a load of rubbish? Tell us so on Twitter – we want to hear your thoughts on the age-old debate! Whether you ski or snowboard, you need to be able to rely on your transfer service to get you to the slopes. Alps2Alps provide low-cost, professional transfers to all major resort destinations in the Alps. Find your affordable transfer here!